By the way, Penny @ Penny's Vintage home, had some amazing Gunne Sax Pumpkins that were equally over-the-top in beauty! Honestly, you have all made this extremely hard for both,Theresa and Linda! There were so many DIY's and recipes so worthy of being Featured! But, we would be here all day. 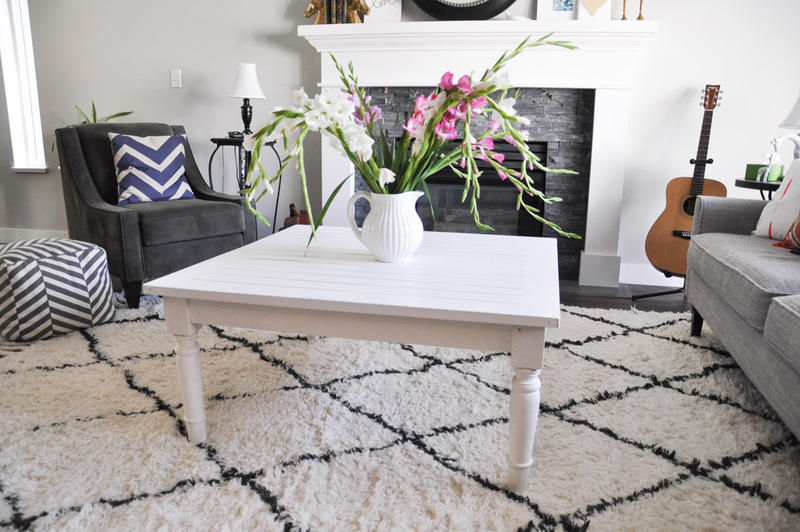 So, with that said Theresa'a second DIY Feature was Tara @ Suburble's "Finally, She Painted the Coffee Table!" Theresa has a table just like this and just recently pickled it. So, it was especially nice to see how beautiful Tara's painted table came out. We'd say Perfect! Theresa's Recipe Features, Oh my! You all brought so much to Love at this party we had to do things a little different. We both picked 2 to Feature Recipes and we have include links at the end of the party to share all the Wonderful Zucchini and Apple Recipes. 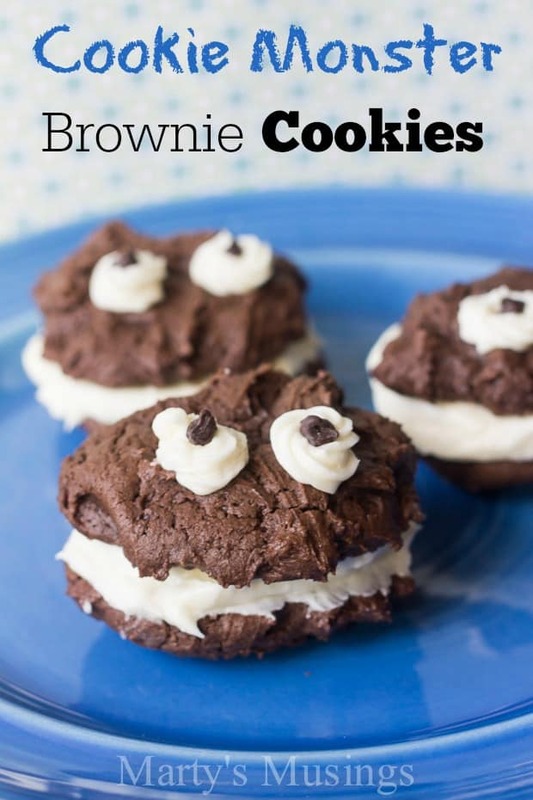 With that said, here is Theresa's first Recipe Feature: She absolutely loved the creativity of Marty's Musing's Cookie Monster Brownie Cookies. These are just so cute, who wouldn't love one of these?! Theresa's Second pick went to Sumptuous Spoonfuls' Pesto-Eggplant-Parmesan Grilled Cheese Sandwich. No words necessary, just look at that! Linda's DIY Features for the week start off with Summer Scrap's Fall Pumpkin Tutorial. They are so cute and wonderful that you can make them and store them for the year or change them up from year-to-year. 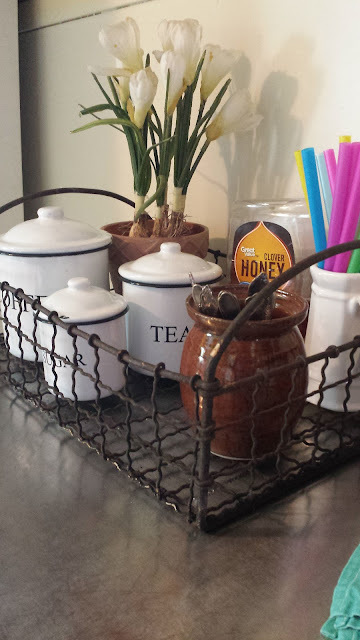 Both, Linda and Theresa would absolutely LOVE to have Kristen @ Ella Claire's She Shed Reveal! 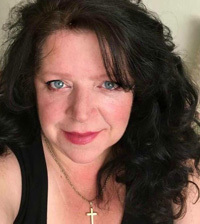 So, Linda thought you should all get a look at this one! Linda's first Recipe pick was Eat Pray Read Love's yummy Pumpkin Spice Monkey Bread! And, Linda's second pick? 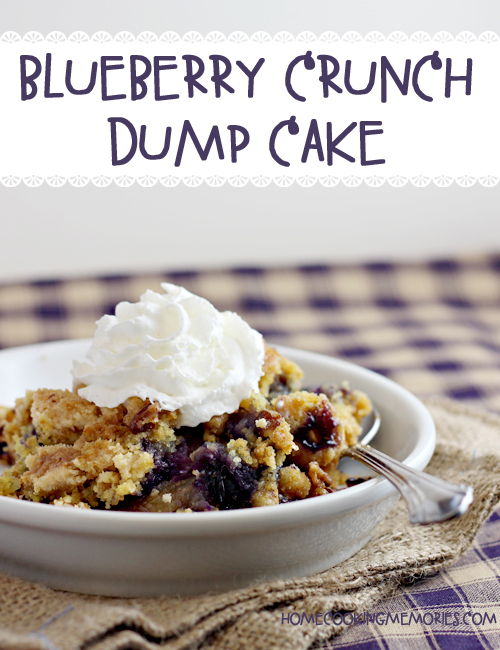 Home Cooking Memories' Blueberry Crunch Dump Cake! Since our party has exploded with links and since there are SO MANY that deserve to be featured we have a new feature of our party. We had 6 awesome zucchini recipes and 9 absolutely fabulous apple recipes last week. These links will bring you directly to the PIN and we're hoping you can pin some of your favorites. Here are the zucchini recipes: Blackberry Zucchini Muffins, Chocolate Zucchini Cake, Hasselback Zucchini, Grilled Caprese Zucchini Boats, Zucchini Bake, Chocolate Zucchini Muffins. Here are the apple recipes: Frosted Apple Cinnamon Cake, Sheet Pan Apple Crisp, Apple Pie Cinnamon Roll Cobbler, Apple Cider Cocktail, Simple Apple Pie Recipe, Apple Cherry Almond Smoothie, Salted Apple Caramel and Almond Galette, Caramel Apple Pie Sundae, Apple Crunch Cake. (Note: some websites do not permit pinning in which case the link goes to the blog post). Thanks for the party. Wonderful features this week. I hope you have a lovely weekend. Thanks so much for hosting the party. The features are awesome! Thank you for hosting, have a great week and weekend! Your party is always fun. Thanks for hosting. Have a great weekend. Thanks, Lita! Sp glad you can join us! Theresa Thanks for hosting a great party! I guess th is week was pumpkin overload! But who can blame you they are all so pretty. Have a great weekend. Oh My Word those Pumpkins are Gorgeous! Lovely features! Thank you ladies for hosting! I brought Pumpkin-Ginger Poundcake! =) Wishing you both a beautiful weekend!